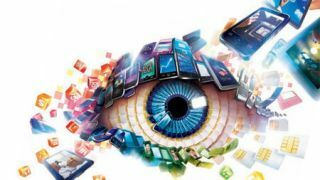 TechRadar has teamed up with Mobile World Congress as a media partner for the world's most exciting mobile phone trade show, MWC 2013. To celebrate this partnership we are offering ten lucky readers a ticket to the show*, which take place in Barcelona on 25-28 February 2013. Your exhibition visitor passes allow access to all exhibition halls as well as the GSMA Seminars and Featured Programmes areas and would cost 699 euros if you bought them - that's about £580. "The mobile ecosystem is expanding at lightning speed, with endless innovation and new applications of mobile technology. From contactless payments and augmented reality to embedded devices and connected cities ­- mobile technology is changing the landscape. The impact mobile will have on the world is limitless. "Join us in Barcelona for Mobile World Congress 2013 as together we explore the new mobile horizon." "Even the landscape of Mobile World Congress will look different in 2013. While the mobile world capital Barcelona remains our host, we're moving to a state-of-the-art new facility, Fira Gran Via." To be in with a chance of winning a ticket to MWC 2013 go to our competition page. Please note that this competition is only open to UK residents over 18 years of age. *Flights and accomodation NOT included. Getting to the show and arranging a place to stay are the responsiblity of the winner.